Connect traditional enterprise systems and disruptive technologies on a single platform with IBM Cloud Integration. Create personalized, differentiated customer experiences, understand customers in context and meet their evolving needs. Recognize and react to market shifts as they happen and get a holistic view of your organization and the people in it. An effective, agile integration architecture helps you to become GDPR compliant and secure digital transformation initiatives. GDPR compliance is a must-have, and protecting your data in-flight is half the battle. IBM Cloud Integration can help you expose authentication for interaction between data controllers and data processors – a key foundation of GDPR compliance. 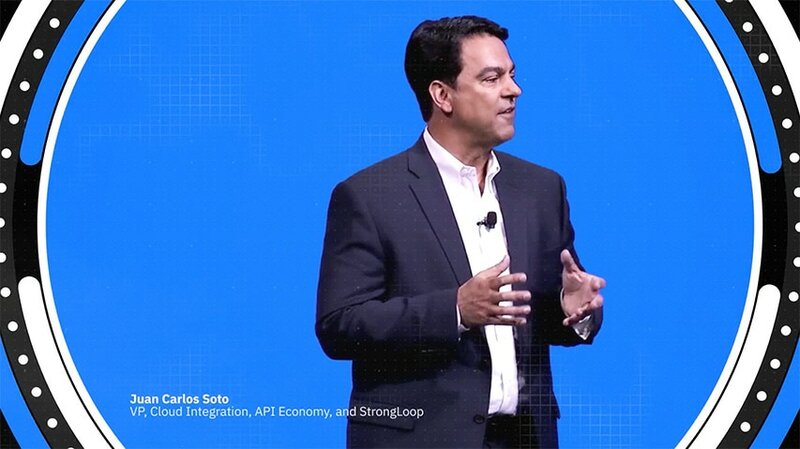 Designed to quickly connect any application or data, the IBM Cloud Integration platform covers any pattern of integration from IT teams relying on batch data transfer to connect enterprise applications, including data scientists pulling in new digital assets, marketing teams depending on real-time events for new insights and mobile teams developing APIs to reach new channels. Companies need to create digital capabilities for end users and API experiences that set them apart in the minds of developers and the organizations they support. They need to address the ‘look and feel’ of their external API while developing an infrastructure that supports the API lifecycle from inception to retirement. Distributed trust systems such as blockchain are redefining industries and go-to-market models. While most commonly associated with the financial sector, the concept of a secure ledger can be applied to virtually any transaction. How organizations connect with the blockchain and how data flows through their applications is a key driver of success. Artificial Intelligence can quickly filter and find patterns in data to help businesses deliver more consistent customer experiences and exceptional service. With the continued advancement of augmented intelligence, companies are moving beyond the pilot phase and have begun to bridge the data divide by integrating AI into their business operations. The laws around how you use and store data are changing. You need build trust in your brand by not only delivering a great product but by ensuring you protect your customers' data. With the rise of even stricter data protection laws like GDPR, your business needs to integrate security and data protection into every application. Organizations are embracing the cloud to speed up development time, optimize infrastructure and to better connect with their customers and partners. Most have a combination of on-premise, public and private cloud applications and need to connect traditional enterprise systems with private cloud environments and new lightweight public cloud services. Learn how Walmart is building a platform driven by APIs to provide its developers with a self-service portal that supports faster development and helps Walmart deliver new services and improvements at the speed of business. Watch as Delphi Automotive explain how they migrated their massive integration portfolio, including a SAP system through which 80 percent of its business runs to an IBM integration platform, providing immediate business stability and long-term adaptability to changing business needs and new technologies. Integration solution with hundreds of built-in connectors for on-premises data systems and SaaS. Enterprise messaging that simplifies and accelerates the reliable and secure integration of data. A single, multi-channel gateway that helps integrate, manage and optimize mobile, web, APIs, SOAs and cloud workloads. Create a persistent connection between on-premises or independent-party cloud environments and the IBM Cloud. Empower real-time development with cloud-based messaging service built on Apache Kafka. Transfer, exchange and automate the delivery of your large data across public, private and hybrid clouds at maximum speed. Schedule a one-on-one consultation with experts who work with thousands of clients to build winning data, analytics and AI strategies.